Concrete mix design is process of preparation of concrete with suitable proportion of ingredients to meet the required strength and durability of concrete structure. Every ingredient of concrete consists different properties so, it is not an easy task to get economical and good concrete mix. The types and advantages of concrete mix design are discussed below. Nominal concrete mix are low grade concrete mixes which are used for small and unimportant works. In this method, fine aggregate quantity is fixed irrespective of cement and coarse aggregate proportions. Hence, the quality of concrete mix will be varied and required strength may not be obtained. In Nominal mix design water-cement ratio also not specified. Grades of concrete M20 and below are prepared by the Nominal mix design. For higher grade designed concrete mix is preferred. The designed concrete mix does not contain any specified ranges in proportions. The design is done according to the requirements of concrete strength. So, we can achieve the desirable properties of concrete either it is in fresh stage or in hardened stage. The fresh concrete properties like workability, setting time and hardened concrete properties like compressive strength, durability etc. are attained surely by this method. Use of additives like admixtures, retarders etc. other than basic ingredients are used to improve the properties of mix. Using design concrete mix, one can design various grades of concrete from as low as M10 grade to higher grades such as M80, M100 can also be prepared. The workability requirements of each mix can also meet using this method from zero slump to the 150 mm slump. Each mix prepared is tested in laboratory after hardening to verify whether it meet the requirement or not. The main aim of the concrete mix design is to find out the desired proportion of each ingredients which are cement, coarse aggregate, fine aggregate, water etc. to obtain the required properties of resulting mix. 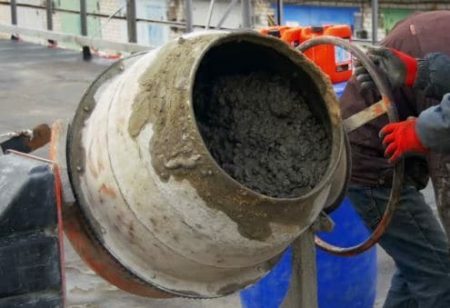 Each ingredient used in the concrete mix design is tested for its quality. The aggregates with good strength, shape, specific gravity and free from organic content are used. The water used also is of good quality generally potable water is used. Concrete with good quality improves its properties such as strength, durability etc. The design mix which is prepared from suitable ingredients in respective proportions itself improves the concrete properties. 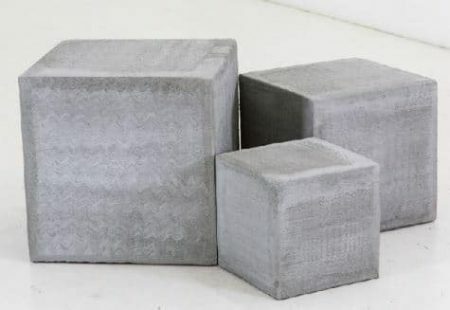 The concrete mix prepared is tested using compressive strength machines, tensile strength machines in the form of concrete cubes and cylinders. Hence, recommended grade of concrete can be obtained using concrete mix design. Normally For making concrete in nominal mix, cement is used more than the other materials to get more strength which effects the cost of the project. It also increases the heat of hydration and causes shrinkage cracks in concrete. But using concrete mix design, concrete of required strength can be designed with accurate quantity of cement. It saves the cost of the project and economical concrete mix will be obtained and also prevents the formation shrinkage cracks by lowering heat of hydration. Concrete mix design allow the use of locally available material such as coarse aggregates, fine aggregates etc. only if it is of good quality. This will reduce the cost of project and will also encourage rapid construction. The concrete obtained through mix design contain desired properties like workability, durability, setting time, strength, impermeability etc. The design is processed by considering some important factors like water cement ratio, gradation of aggregates etc. 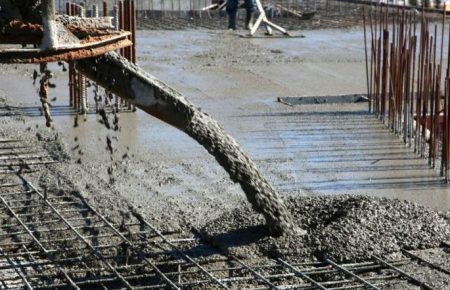 Depending upon on the construction conditions or requirement, admixtures are used to improve the properties of concrete. Designed concrete mix fulfills the durability requirement of structure against several environmental effects and serves good throughout its functional life. Different cements available can also be used depending upon the requirement.